There are plenty of resources online for finding academic papers but if you have just completed a research paper or even your dissertation, you might be wondering what to do with it. How do you make it so other people find it? Most academics have this question, especially early on in their academic career. You want some way to show off your research and Abstract Tube provides you a way to do that. 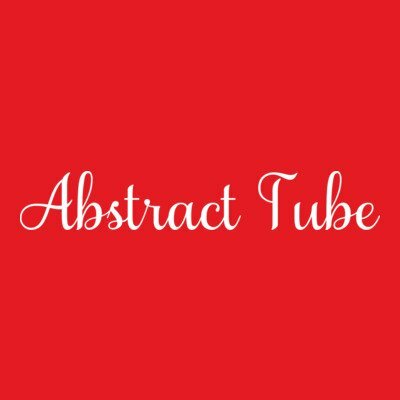 Abstract Tube is a platform for academics to share their work in video format, similar to YouTube. As a dedicated platform for academic work, Abstract Tube provides those who publish and visit the site access to a wide range of material in an easy to digest way. Instead of uploading a video to cover your whole dissertation or research paper, you upload a video of only the abstract. Hence the name Abstract Tube. The idea is to keep the videos short yet educational and entertaining. Let’s take a look at some of the benefits of using Abstract Tube to host your content. It is extremely easy to create videos of any kind. A high quality webcam is very cheap and there is plenty of free video editing software out there. If you are a student or part of an institution, you might have access to free equipment and resources to make the creation process even easier. With a short video you are able to catch the attention of other researchers, students, publishers, and even your friends. A creative and informative video can go a long way. This is part of what has given other video platforms such popularity. Now academics have a video platform just for them. Your videos will also be easily shareable for academics that want to exchange the helpful information that you have in your abstract. Posting your abstract in video form on Abstract Tube will help to increase your search engine results, which in turn, increases the chance that you will be published. It also increases the chance that others will read your work. You never know when you will be able to capture the right person’s attention. You have the ability to host an abstract for any research that you have done on the Abstract Tube website. This allows the site to host a large number of research abstracts that feeds researchers of all kinds. Those looking for research abstracts can find videos of all types. One of the problems with sharing your video abstract on YouTube is that the majority of content on the platform isn’t related to educational resources. You want to have your abstract hosted on a platform that makes it look as professional as possible and Abstract Tube does that. One of the biggest benefits of Abstract Tube is that it allows those who are looking to review abstracts a quicker and easier way to get through the abstract. No longer do you have to wade through text abstract after text abstract. Get the information in a way that works for you. This also makes getting research grants and publishing easier because those looking to offer these services don’t have to spend time reading and rereading your abstract. They can get through it quickly and probably learn more from the video. A large number of researchers and academics have moved over to using video abstracts because they are easy to create and they are even easier to digest. You are able to embrace that with Abstract Tube and reap the benefits that we discussed above. Creating academic videos has never been easier and now hosting them hasn’t either.